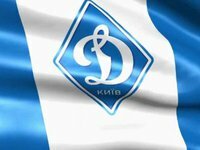 Dynamo Kyiv has played out a goalless draw with Greece's AEK, reaching the round of 16 of the UEFA Europa League. After a draw 1-1 draw in Athens a week ago, the clubs played out a goalless draw at the Olympiysky National Sports Complex in Kyiv on February 22. Dynamo progressed to the next round on the away goals rule. The draw for the last 16 of the Europa League will be made on February 23.